KDN textile enzymes cover desizing amylase, biopolishing cellulase,peroxide-removing catalase and denim abrasion cellulase. Enzymatic solutionscan decrease dependence on chemicals, lower consumption of energy and water,and bring down costs - all while maintaining superior product quality. KDN pulp & paper enzymes include enzymatic refining,enzymatic deinking, and bleach boosting, etc. They can significantly reducechemical and energy consumption while improving fiber yield and paper quality. 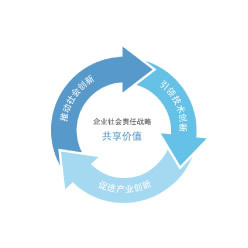 In the enzymatic refining, KDN products are able to reduce the electricityconsumption , reduce long fiber ratio, while improving thepaper strength and saving total production cost. Compared to traditionalchemical deinking, KDN enzymatic deinking reduces the caustic and sodiumsilicate , remarkably reducing the amount of COD and BOD in theeffluents In the pulp-making process, KDN bleach boosting enzyme can reduce thebleaching agent , thus lowering the amount of AOX in the waste water andease the treatment of the effluents. KDN leather enzymes are used in beamhouse processes, such as enzymaticsoaking, enzymatic unhairing, and enzymatic bating, etc. Leather enzymes cansignificantly reduce the consumption of energy, water and chemicals whileimproving leather quality and area yield. In the soaking process KDN soakingenzymes can effectively save the soaking time to fit the tight productionschedules within 24-hours beamhouse process. Soaking enzymes can quickly removenon-structural proteins, proteoglycans, residual bloodatain within the skin,and make the fibers have an adequate rehydration. KDN unhairing enzymes aredesigned for the latest enzymatic hair-saving process. Unhairing enzymes helpreduce the use of sulphide and lime, thus reducing tremendously the COD and BODin the effluents compared to the traditional hair burning process.